If you are one of the many people who always seem to be running late getting out the door in the morning, then this article is for you! People find it difficult to leave the house on time for various reasons. Some are just not morning people and it takes a long time to lose that zombie feel. Others try to cram too much in. And many just lack organisation. Well have no fear, the Time Fairy is here! Check out the following tips to make you mornings become calm and controlled. If you are not a morning person, many of these tips are perfect for you because they allow you to stay in bed that little bit longer! There are lots of things you can do the night before to save lots of valuable morning time. Pick out your clothes for the day. Include everything from shirts and trousers to belts, socks and shoes. How often have you thought you were ready but couldn’t find a belt? Or realized that the shoes you thought you were going to wear need polishing? Or that the shirt is wrinkled and desperately needs an iron? Problem solved! If you pick it all out the night before, you’ll notice these things with time to sort them out. Remember to check the weather forecast too. Pack your bag. Think of everything you’ll need and make sure it’s already packed. Sometimes this is hard to do, so try imagining it’s time to leave now and all the things you might forget should come to you. Prepare your breakfast. If you have a cooked breakfast, then do as much as you can the night before. If you like pancakes, prepare the batter. If you have a fry up, how about cooking it and plating it up to reheat in the morning? 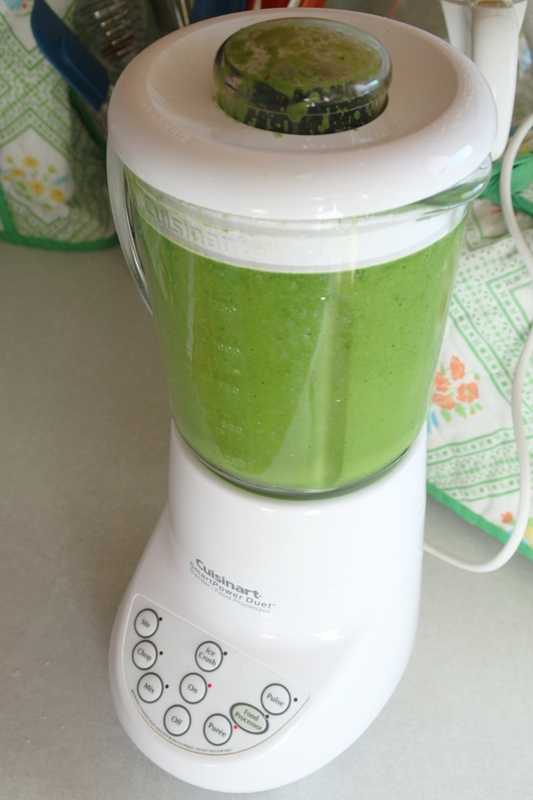 If you like smoothies, blend all the ingredients and pop the blender jug into the fridge overnight. Create a make-up station. If you wear make-up, have all your make-up and hair products ready in one spot. You don’t want to be looking for your favourite lipstick in a morning panic. Make a packed lunch. This saves time in the day too. People often plan to make a lunch but run out of time. It saves you valuable time (and money) if you have lunch already made. Plan routes, parking and tickets. If you’re going somewhere new, plan the route to see where you’re going and how long it should take, even if you will be using a sat nav. Add extra time to allow for traffic, and think about where you will be parking too. If it’s an event that needs a ticket, print it off and put it in your bag. Leave yourself notes. 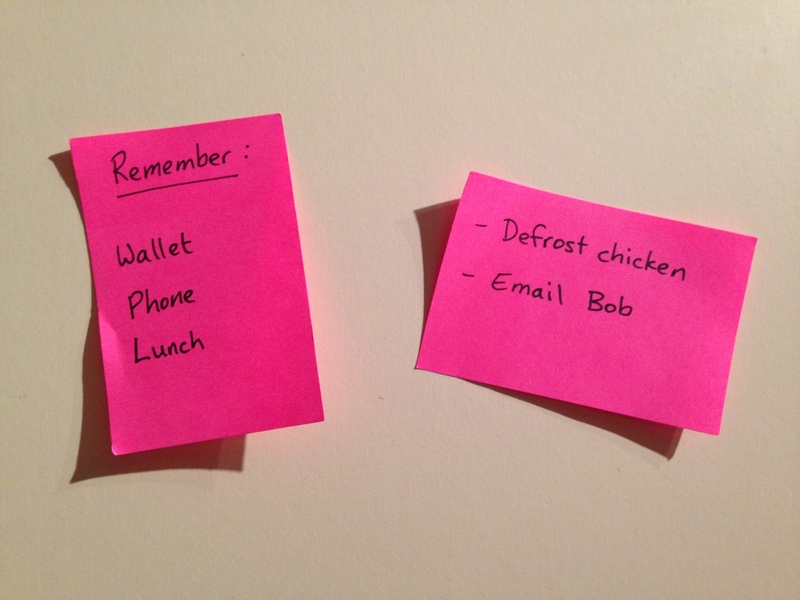 If you need to remember things in the morning, then put post-it notes around the house where you’ll see them. This means you won’t have to rely on your zombie brain in the morning, and you should sleep better as there is less to worry about. Don’t press the snooze button. This will slow you down and waste more time. Try to get into the habit of getting up straight away. Use a sleep cycle app. This tracks your sleep cycles and wakes you up gently with music during your lightest sleep phase. Put on music. This should help your brain wake up and help you get out from those lovely warm covers. Leave a gap in the curtains. If you let natural light in, your body will start waking up gently and you’ll find you are less groggy. You could even buy a smart light, or an automatic curtain opener that opens your curtains 30 minutes before you want to get up. Get up 10 minutes earlier. That way you have 10 minutes extra that you wouldn’t miss in dreamland. Keep breakfast simple. It is very important to eat a good breakfast, but try to make it easy. For example, preparing it the night before, or having a cold breakfast. Use a shower timer. It’s easy to lose track of time in the shower, so get a shower timer to help you save a few more minutes. I hope that there are some useful tips here that you haven’t tried. Let us know if you use any of these techniques already, if you have more to add, or if you decide to try any out. We’d love to hear how you get on.